The Adamas® folding knives come in both manual and automatic and have proven to be the strongest AXIS® knives ever made. A thick blade, liners and G10 handle scales afford the knife much of it's strength. 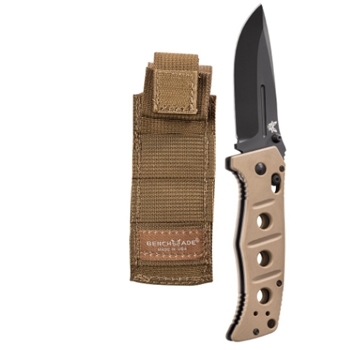 In addition, a portion of the proceeds from these knives are donated to Three Rangers and to the Navy SEAL Foundation; both organizations benefiting the members and families of special operations. MOLLE® compatible. Made in USA.